The daily struggle of what to eat in the morning is over if you learn how to use all your fruits and vegetables for a healthy breakfast. 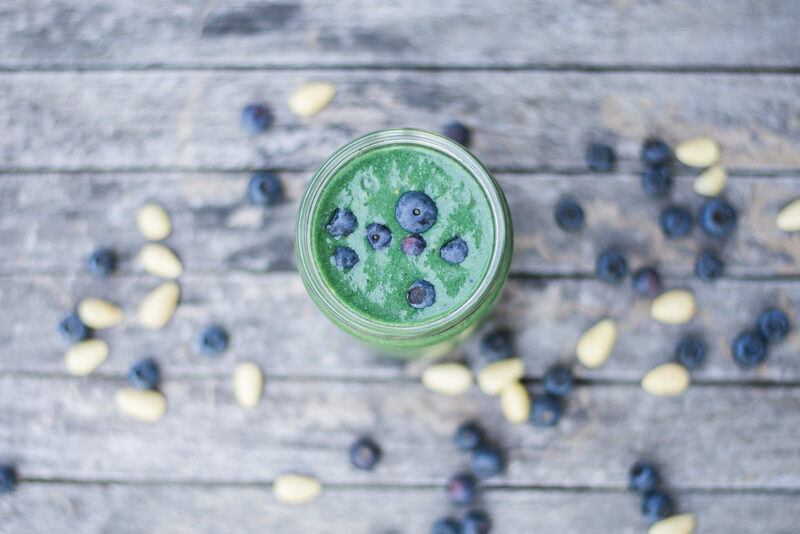 Packed with loads of good stuff this green smoothie is the perfect start in the day! It doesn’t only make you full and help you staying hydrated but tastes delicious and looks really pretty. 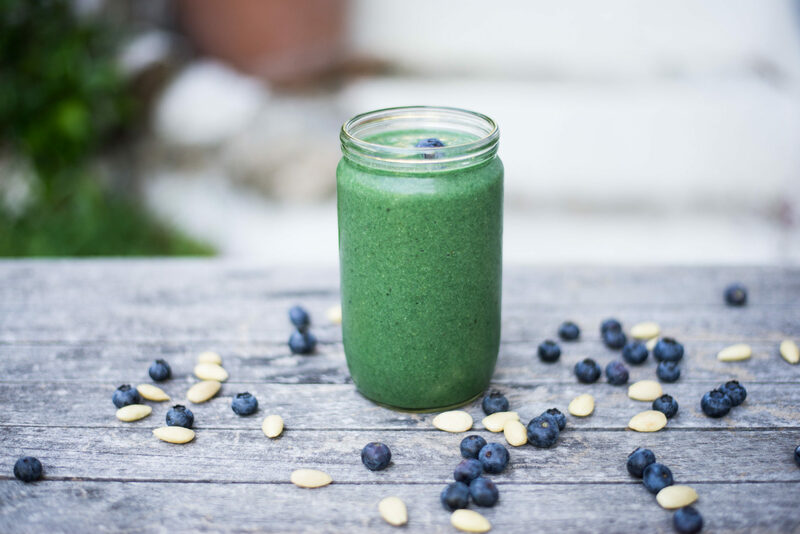 If the liquid texture isn’t fine for you, use less water and top it with seeds, oats, fruits and nuts for a great green smoothie bowl! Read more about its health benefits below. 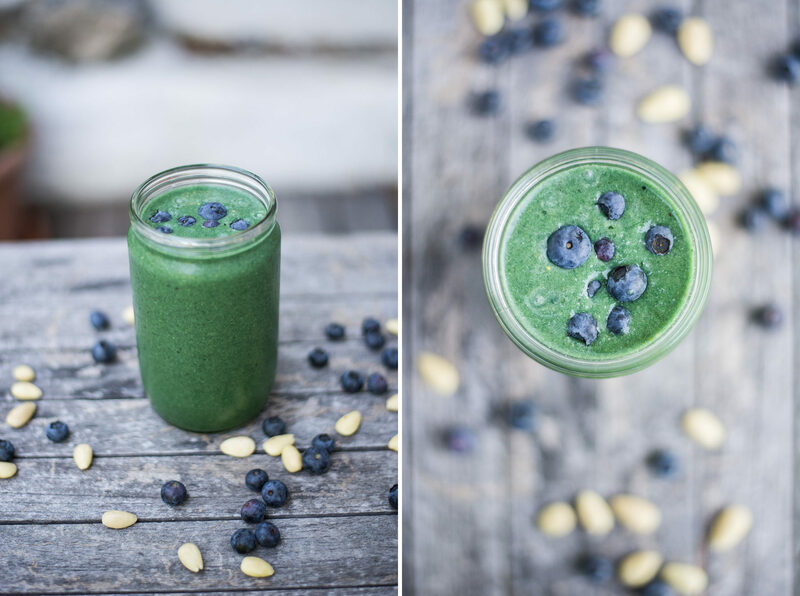 Put all your ingredients for the smoothie in a blender and blend until smooth. If the texture is too thick for you, add some more water. 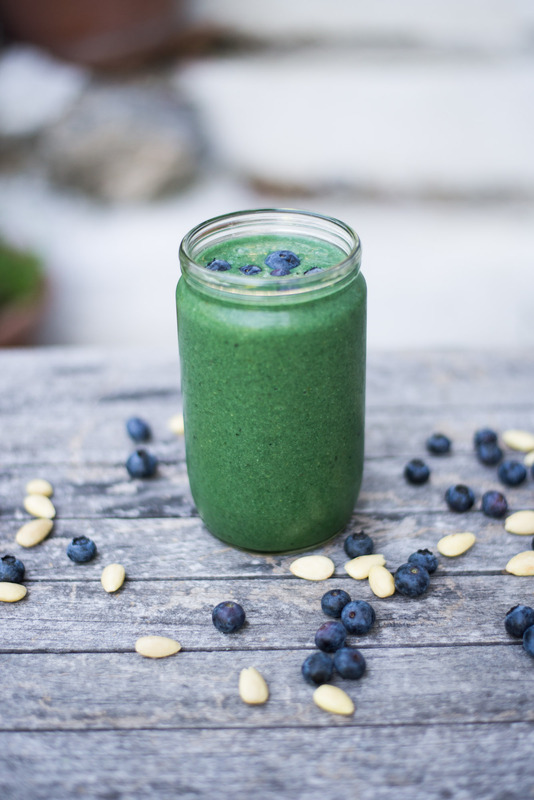 Decorate with blueberries and almonds and enjoy! 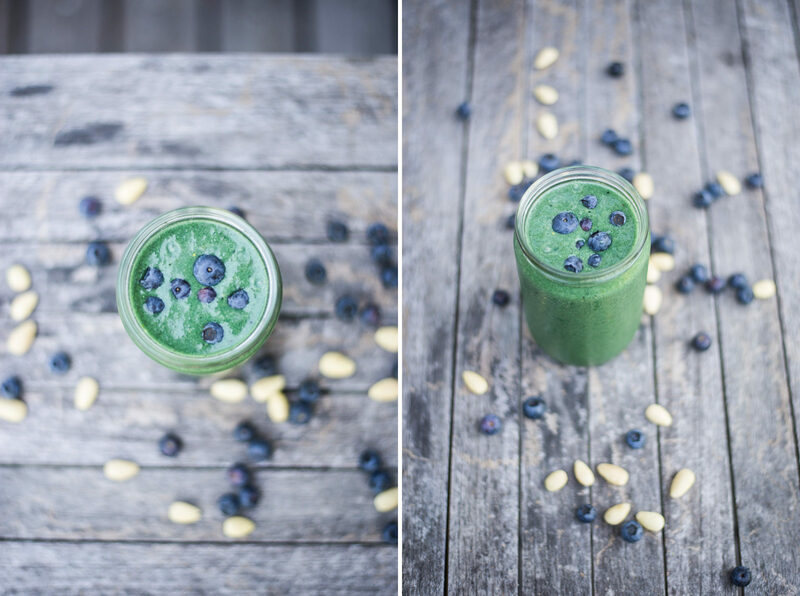 I like the addition of coconut cream in this green smoothie. Thanks for sharing the recipe. I will try this as soon as I’ve completed the ingredients.